Realtime Prices, Sentiment, Tweets, Scuttles, News and discussions on Juniper Networks Inc. Juniper Networks, Inc. (Juniper Networks) designs, develops, and sells products and services that together provide its customers with network infrastructure. It operates in two segments: Infrastructure and Service Layer Technologies (SLT). The Company’s Infrastructure segment primarily offers routing and switching products that are used to control and direct network traffic from the core, through the edge, aggregation, and the customer premise equipment level. Infrastructure products include its Internet protocol (IP) routing, carrier Ethernet routing portfolio, and Ethernet switching portfolio. Its SLT segment offers solutions that meet a range of its customers' priorities, from protecting the users, applications and data on the network itself to providing network services across a distributed infrastructure. 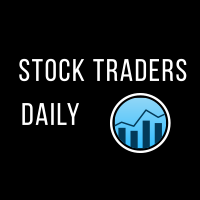 Effective September 13, 2013, Juniper Networks, Inc. acquired Contrail Networks Inc.
For a limited time get your FREE Stock Traders Daily report on JNPR. Get it now.